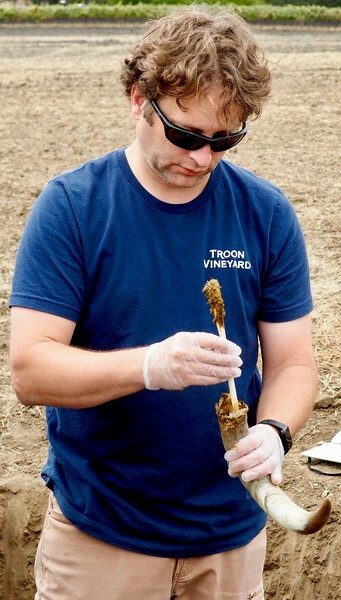 Documenting biodynamic and organic agriculture and winemaking at Troon Vineyard in Oregon's Applegate Valley. 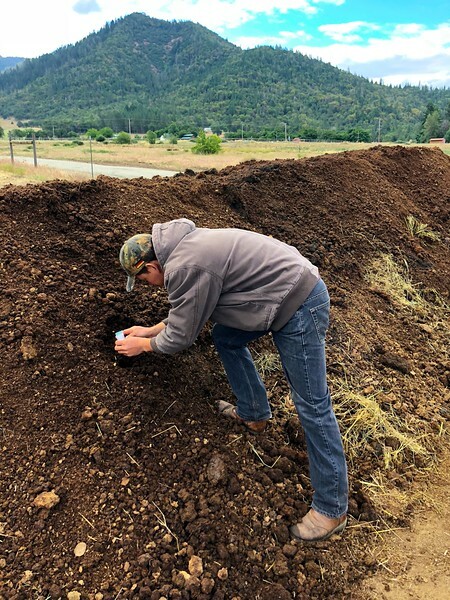 Vineyard manager Adan Cortes adds the BD preparations to a new compost pile. 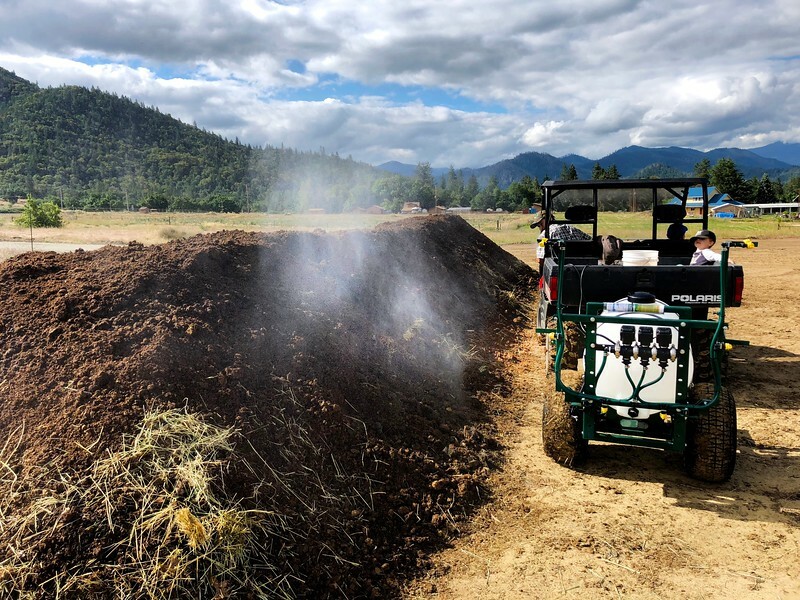 Vineyard manager Adan Cortes adds BD Preparation 507 to a new compost pile. 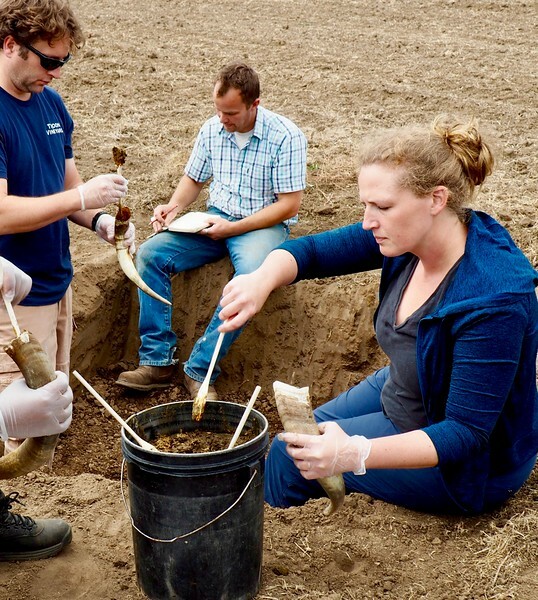 Winemaker Nate Wall, biodynamic consultant Andrew Beedy and 2018 harvest intern Lindsay filling our first cow horns. 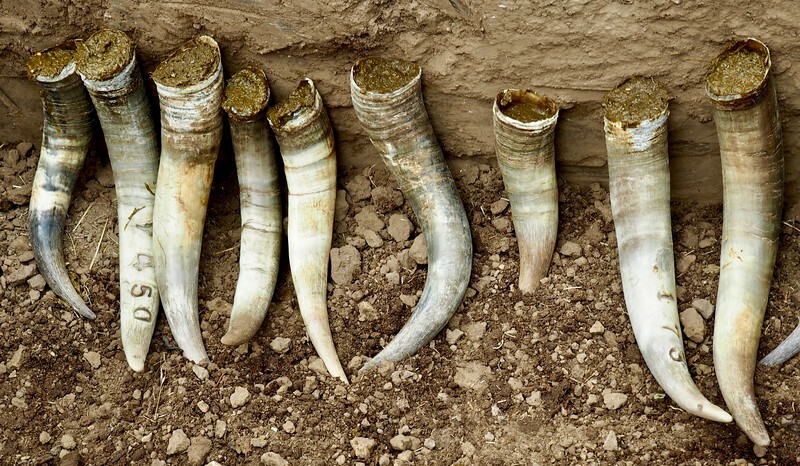 Making your own BD preparation​ 500 is a cornerstone of any biodynamic program. Here winemaker Nate Wall fills his first horns. Cow horns filled with fresh manure ready to be buried. Next spring we'll have our first estate produced BD 500. 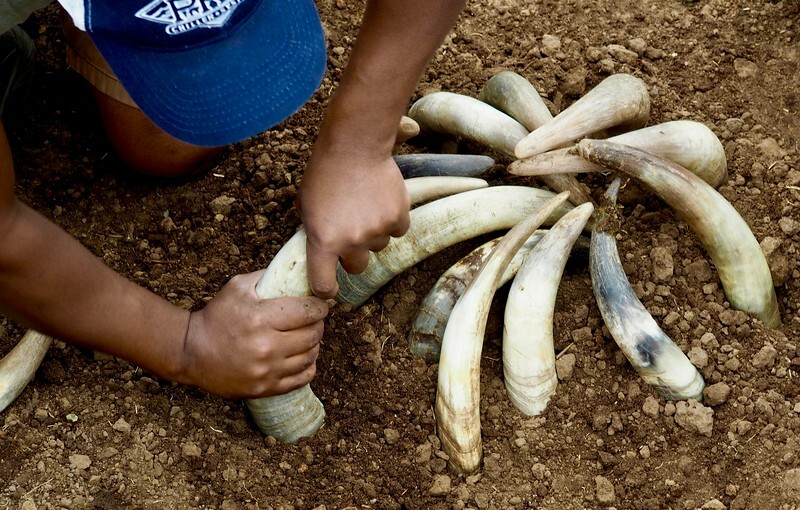 Banele, Troon Vineyard 2018 harvest winemaking intern from South Africa, fills his first horns to make BD 500. 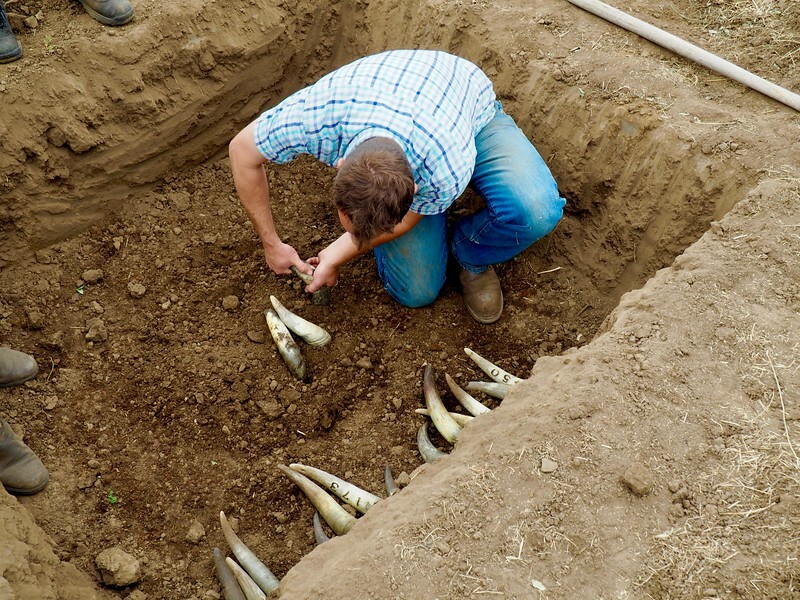 Troon Vineyard biodynamic consultant Andrew Beedy puts our first filled cow horns into place. Next spring we'll have our first estate produced BD 500. 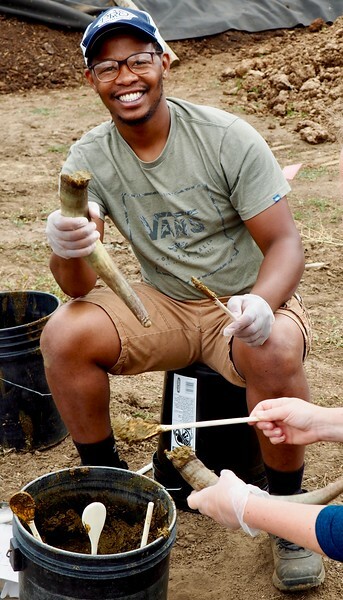 Banele, Troon Vineyard 2018 harvest intern from South Africa, places the final filled cow horns in the pit. Next spring we'll have our first estate BD 500. 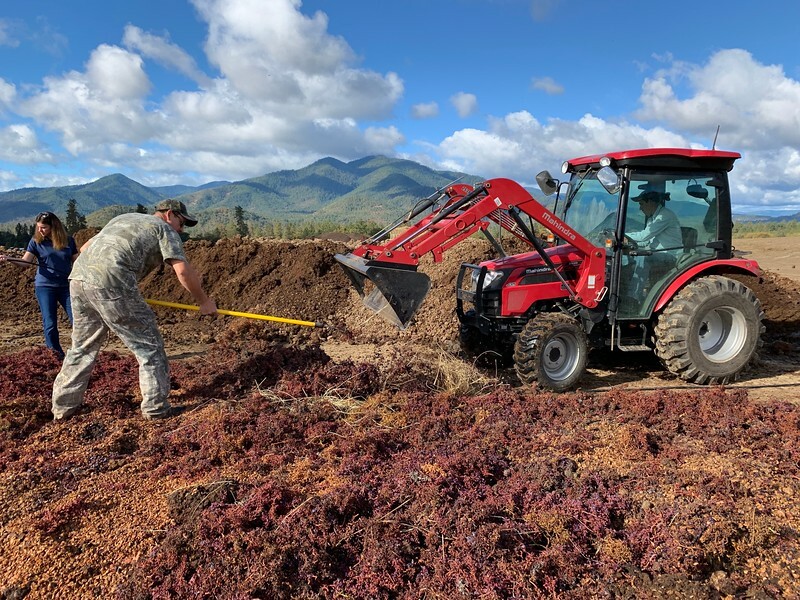 Pomace fresh from the press is added to a new compost pile. Everything from the harvest is recycled back to the soil.